For a full list of ASCE Regions 1 Sections, click here. The American Council of Engineering Companies (ACEC) is the voice of America's engineering industry. Council members — numbering more than 5,000 firms representing more than 500,000 employees throughout the country – are engaged in a wide range of engineering works that propel the nation's economy, and enhance and safeguard America's quality of life. These works allow Americans to drink clean water, enjoy a healthy life, take advantage of new technologies, and travel safely and efficiently. The Council's mission is to contribute to America's prosperity and welfare by advancing the business interests of member firms. The Providence Engineering Society was founded in 1894 and is the oldest professional engineering society in the United States. The Society offers engineers opportunities to network, improve their technical competence, and socialize with fellow professionals. Established in 2006, RIITE aims to promote the professional development of its members, support and encourage education, develop public awareness programs and serve as a conduit for networking and the exchange of professional information. 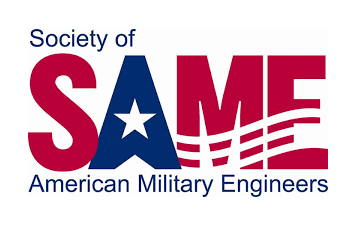 Our mission is to promote and facilitate engineering support for national security by developing and enhancing relationships and competencies among uniformed services, public- and private-sector engineers and related professionals, and by developing future engineers through outreach and mentoring. Founded in 1977, WTS is an international organization dedicated to building the future of transportation through the global advancement of women.